AXYS Technologies Inc. is pleased to announce it has recently completed another two successful validation campaigns for its FLiDAR 6M wind assessment platform. This latest achievement marks the 9th and 10th independently reviewed offshore validations undertaken by AXYS to advance the commercial acceptance of its FLiDAR technology for offshore wind resource assessment in support of project financing. The latest validation campaigns took place at FINO 1 in the North Sea and at West of Duddon Sands in the Irish Sea, adding 11 more months of validation data to AXYS’ already impressive body of evidence for commercial acceptance. Both validation campaigns achieved over 98% data availability through harsh winter storm conditions while meeting or exceeding the accuracy standards established by the Carbon Trust Offshore Wind Accelerator (OWA) Roadmap. Since the initial deployment of its flagship FLiDAR system in 2009, AXYS’ FLiDARs have successfully completed 17 offshore wind assessment campaigns and now 10 offshore met mast validations covering a range of operational, site and met ocean conditions in Europe, North America and Asia. This represents a total of nearly 12 years at sea. AXYS now operates a lease pool of 8 FLiDARs worldwide with 2 backup systems available on short notice. AXYS FLiDAR systems have been designed and hardened over the past 7 years to increase survivability and maintain high levels of accuracy and data availability in extreme weather and sea states. Features such as dual-LiDAR, triple-redundant power supply and communications, and redundant data storage were all designed to continually improve system reliability and to ensure the success of our customers’ projects. Watch a video of the FLiDAR buoy effortlessly navigating the rough seas off the coast of Germany from the campaign completed at the FINO 1 met mast as part of the NORCOWE consortium. With wave heights exceeding 8 metres and wind gusts over 38 knots (20m/sec), the ruggedized FLiDAR equipped with two LiDARs performed flawlessly, maintaining over 98% data availability through yet another winter storm in the North Sea. Oldbaum Services are experts in data acquisition, analysis and data management for the wind industry. 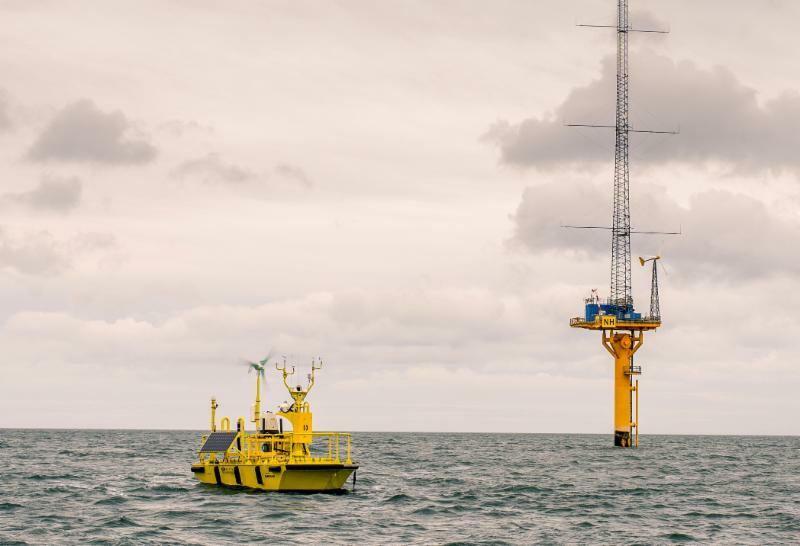 With services ranging from Array design to Offshore met mast design and initial site data acquisition, Oldbaum can deliver a wide range of wind technical services offshore. Learn more at www.oldbaumservices.co.uk.